Since all of you were so interested in my Back To School Fine Motor Morning Work Stations, I thought I’d share what I’ve been up to for October. (If you’d like to see last month’s post, just click HERE.) 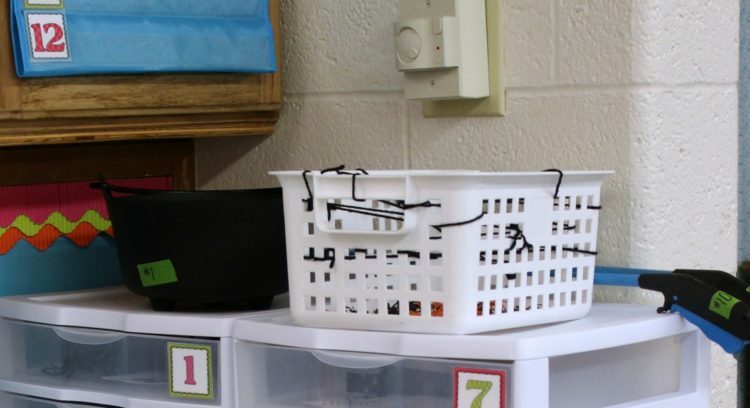 I just finished setting up my new Morning Work Stations for the month, and since my kinders still needs tons of fine motor work, all the activities within my drawers still have a fine motor emphasis of some kind. My first set of stations lasted me through September and a bit of October, but I’m excited to add some new activities for my kinder friends. Slowly but surely, you’ll see that these stations are also incorporating other academic areas so my students can use this valuable time to practice and master essential skills they need. So here’s a quick look at this months activities (Make sure you check back later this week. I’ll be adding some ‘in action’ shots in a follow-up post.) If you want to find out more about each activity, click on any of the pictures below. 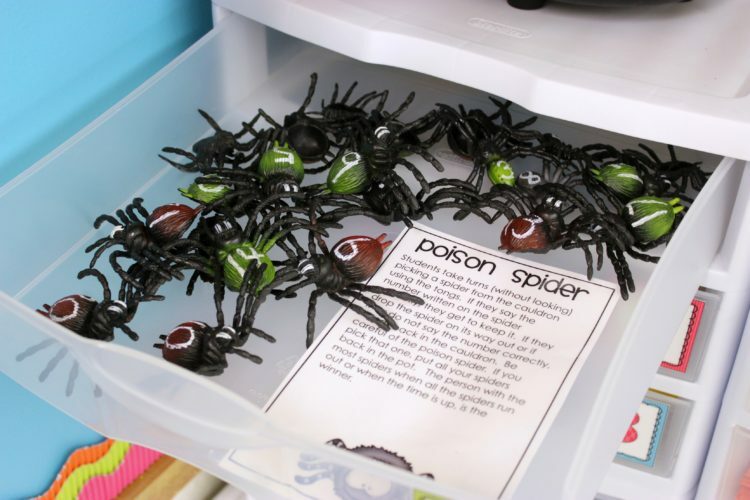 All you need are some large rubber spiders, a cauldron, tongs and a paint pen for this fine motor station. 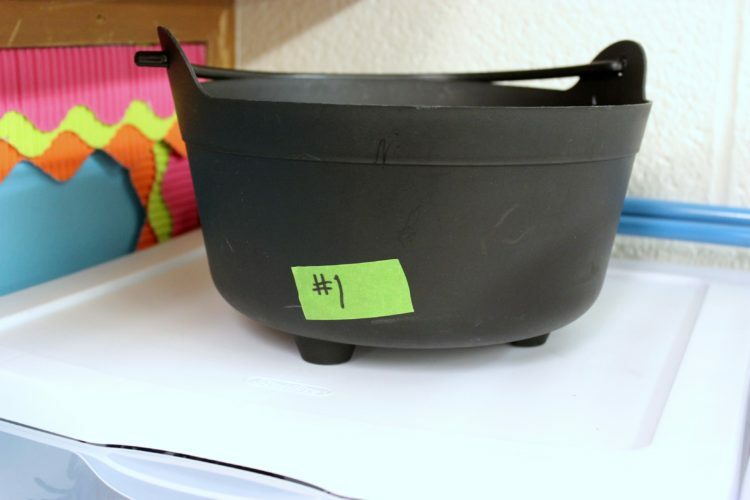 Students will take turns (without looking) picking up spiders from the cauldron. If they can say the number on the spider’s back, they get to keep the spider. If they can not, they must put the spider back in the pot. Be careful though, there are poison spiders that you don’t want to get. This activity is one where not all the items fit in my drawer. So I simply label the ‘too big’ items and place them on top of my drawer unit. 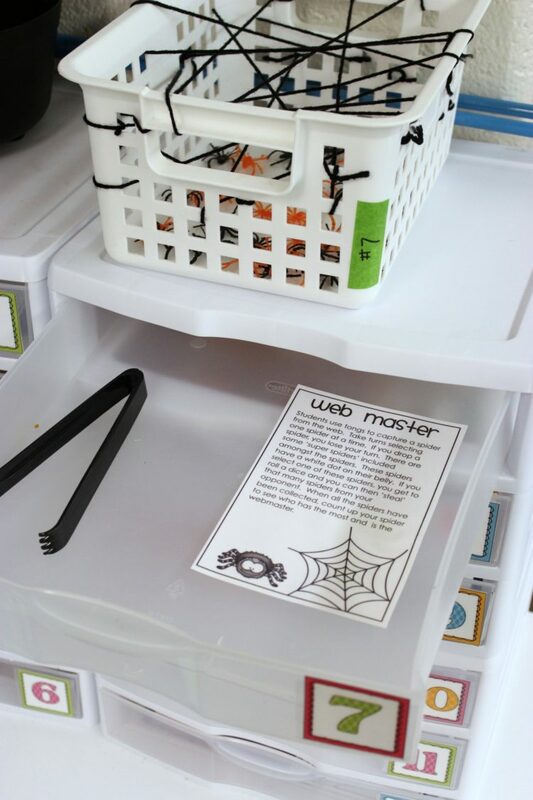 Students will grab this when they take their drawer to go. You could probably play the game without the cauldron, but why not add it? It makes it that much more engaging. Each page of these colorful little books has a different number printed on it. I think the fun Astrobrights colored paper make them even more engaging. 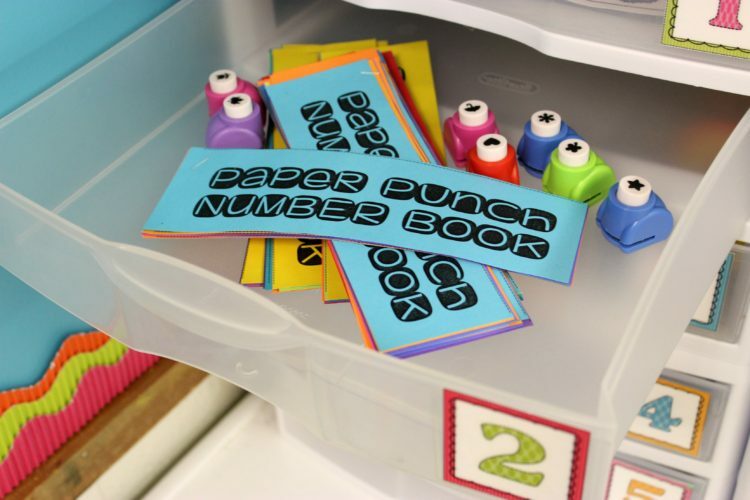 Students simply turn to a page, select a paper hole puncher and punch that many. I like to offer a variety of little punchers to make it fun. You can sometimes even find some fun seasonal ones. The punchers are a super fine motor tool and your kinders will beg for some more paper to keep punching once their books are completed. 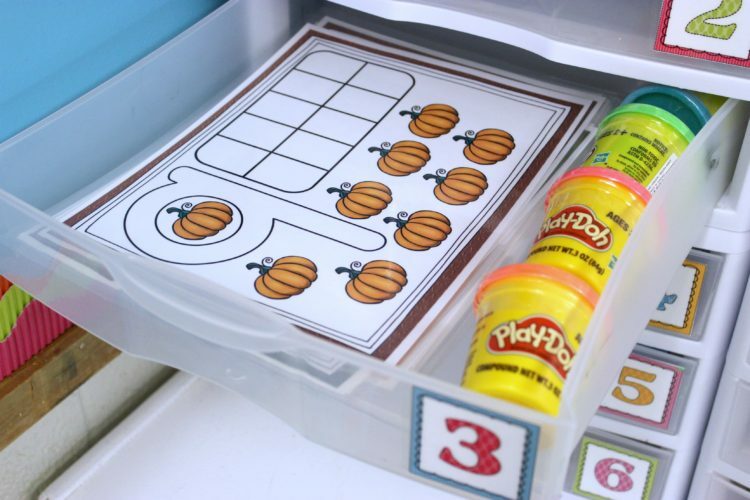 My students can NOT get enough of play-doh, so I wanted to be sure that I included a set of mats that would help with them with number recognition and production. These play-doh math mats are differentiated. Since some of my students still have not mastered 0-10, they will work on that set and the rest of my students will work on 11-20. I want to make sure that the work is challenging, but not too challenging that they become frustrated. Purely for the fun of it . . . my students loved therapy putty last month so I wanted them to have more experience with it but also have some fun. 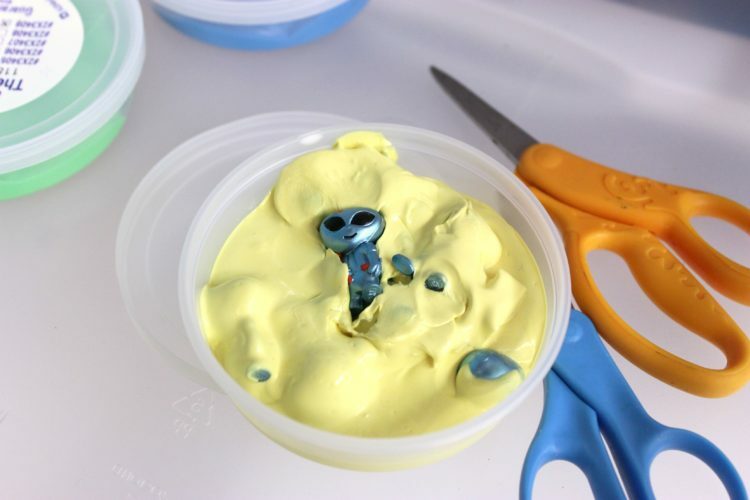 So this time I added some fun little plastic aliens for them to ‘rescue’ and scissors because therapy putty is even better than play-doh for resistance when cutting. I know they are really going to have to work those fingers to cut through it. I have had these little alien guys for a couple of years and use them off and on for different games. When I looked, I found that they actually have them on Amazon if you click here. But really, you could use anything fun and engaging that your kids will love . . . just make sure it’s not porous. Something small and plastic is best. Letter formation is always a skill where students can never get enough practice. 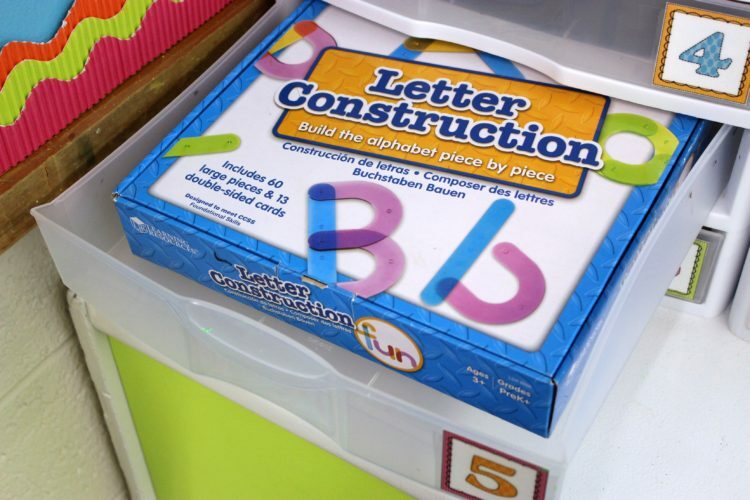 I have these Letter Construction pieces from Learning Resources for both numbers and letters, and I just love how students have to really think about how the letter is formed with straight lines and curves. There is a little guide for those students who need it. I offer those to my students who can use some help in the beginning. 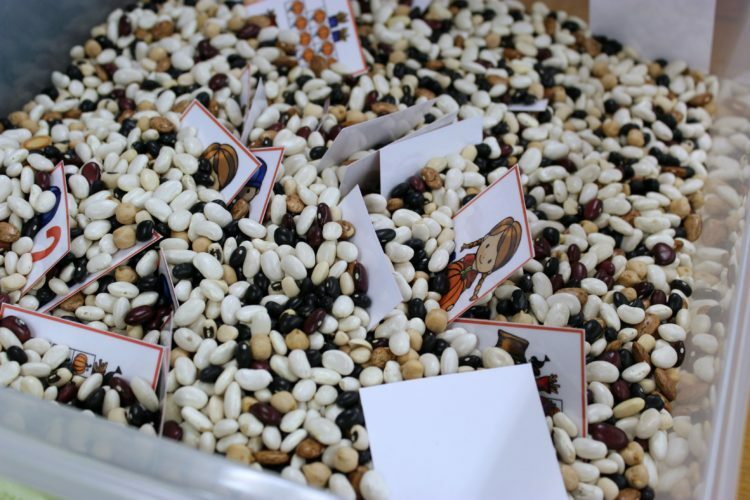 I love a sensory bin, but one little sensory table doesn’t take me very far so I incorporate small sensory bins where ever and when ever I can. This morning work drawer will have students taking this drawer over to where I have a small sensory bin near some rope hanging from the ceiling. 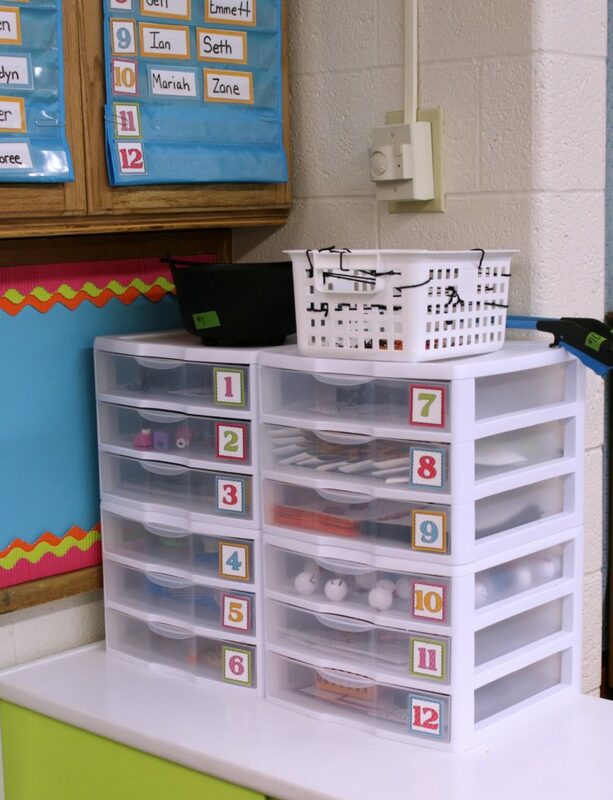 This little bin is easy to manage for my students. They simple take the top off and they are ready to go. They search through the bin for numbers and ten frame cards. (These cards are from my October Sensory Packet. )When they find a match, they use the pumpkin clothes pins to pin the cards together from the ropes. 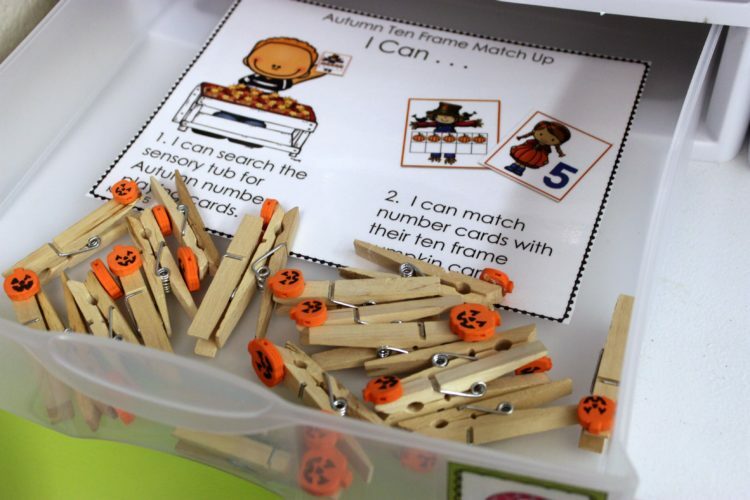 The clothes pins make a great fine motor activity to go along with number recognition and ten frame work. 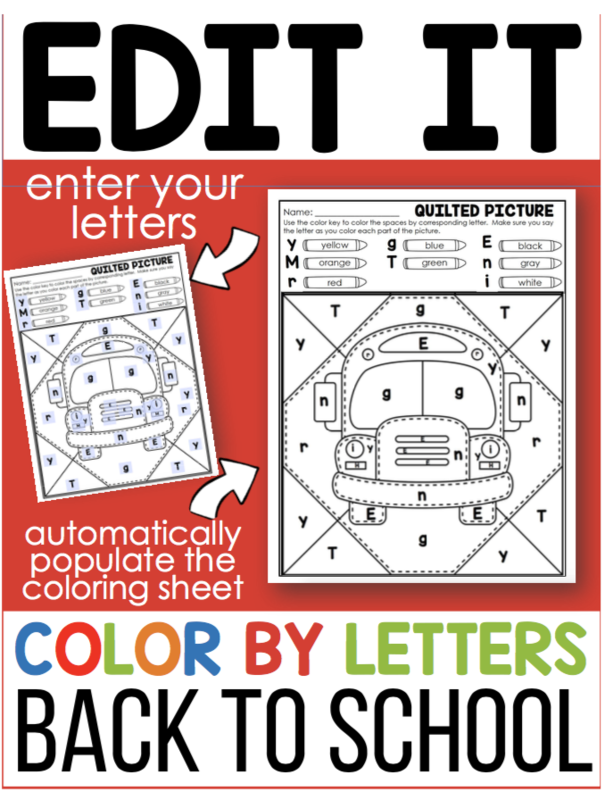 I saw this cute fine motor activity on Pinterest and wanted to make it a bit more engaging. So I added a dot to some of the spiders’ bellies. Those are ‘super spiders.’ You can’t see the belly as you’re taking turns collecting spiders, but if you get one, you get to roll a die and steal that many spiders from your opponent. It’s a super easy activity to set up. 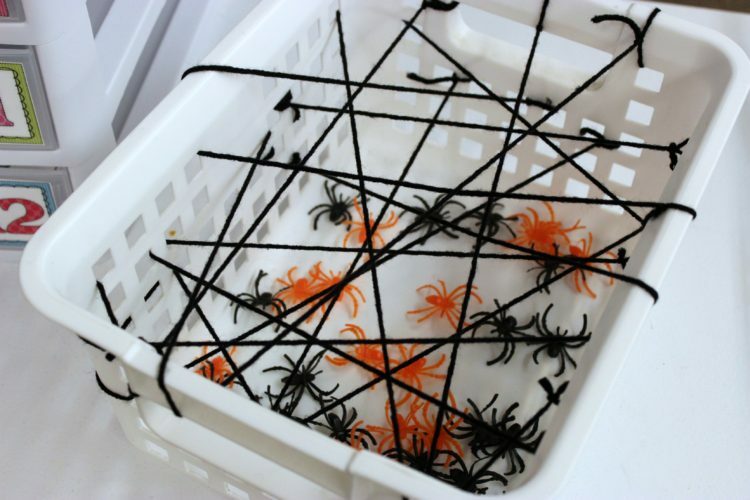 You just need a little basket with holes on the side, some black yarn, toy spiders (Don’t forget to add a dot to a couple’s belly. ), tongs and a die. I realize that ‘patterns’ are not a common core standard per se, but as a kindergarten teacher I find the benefits of having students recognize patterns. It helps with reading and math skills so I always make sure my students get lots of practice. 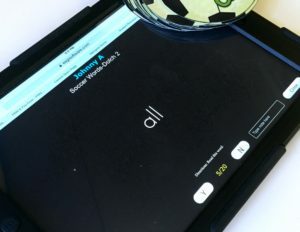 This particular self-correcting patterning activity is easy to set up and your students can be completely independent with it. There is a playing mat like the one shown above. Students select a card and place it on the playing mat. Then, using tongs, they select the colored spider buttons to complete the pattern. They open the card to reveal whether they have completed the pattern correctly or not. The colored spider buttons make it tons of fun and engaging. I’ve had them for years and originally purchased them from Jo-Ann Fabrics. I’m not sure if they still have them or not, but I found these on Amazon and they match too. 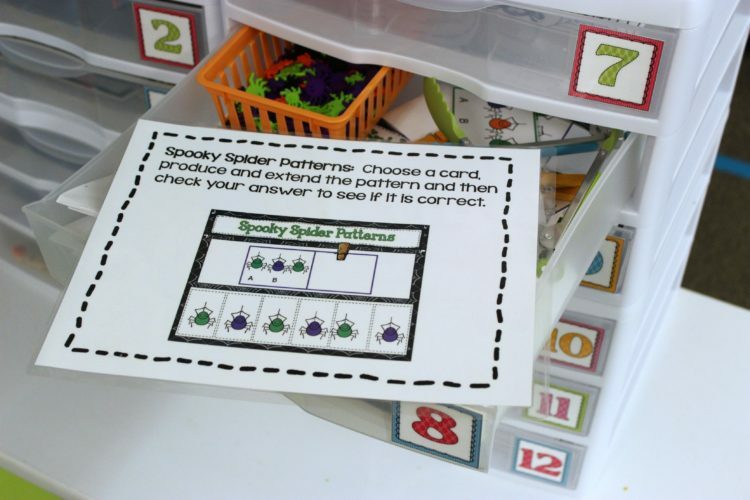 The patterning cards and mat are from my Spooky Math Stations Galore. If you’re interested in learning more about them, you can find them here. I promise, once you see it in action you will totally get it. Make sure you check back. My kinders can’t get enough of Mrs. Miner’s Pokey Pins. I wanted to give them something a little Halloween-ish so I made up these little guys. If you don’t know about pokey pins . . . well, you can’t imagine what you’re missing. I use pokey pins for sigh words and letters. You name it. Krissy Miner has a pokey pin for it. Trust me, if you haven’t pokey pinned yet, you have to try it. You can grab these little freebies if you would like by clicking on my freebie banner at the bottom of this post. Another super engaging, fun fine motor station that goes the extra mile with a little number recognition work. 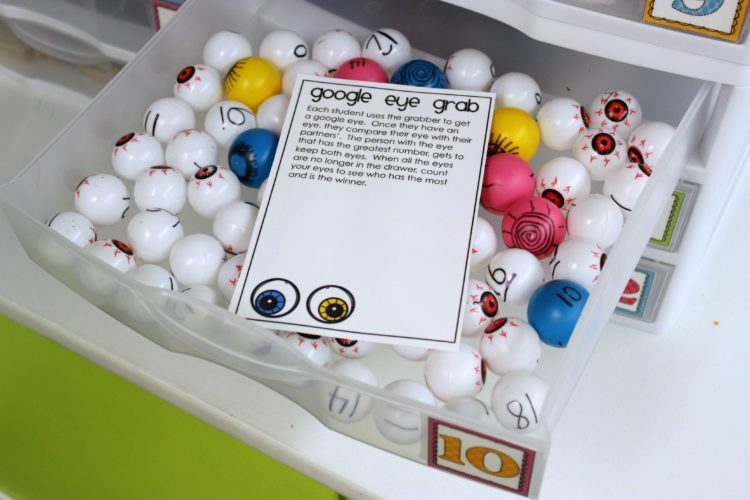 I found these funky eye-ball ping-pong balls and colored ping-pong balls a couple of years ago. I simply write numbers on the balls for this activity with a Sharpie. Instead of having them use their hands to simply grab the balls, I give them fabulous ‘Dollar Tree’ grabbers that are about 2 foot long. You can kind of see them sneaky out on the top of my drawers in the picture below. Or perhaps this picture below can give you a better view. They are so fun. 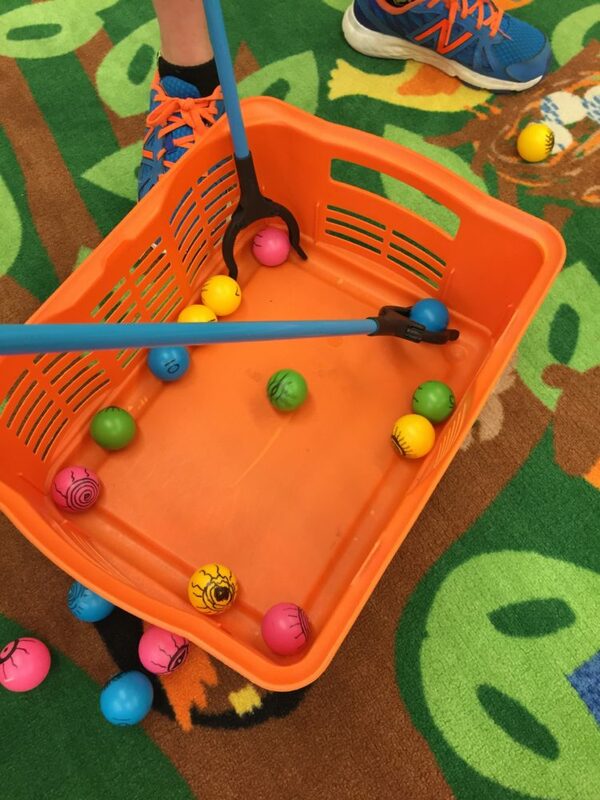 If a student drops their ball, they lose their turn so they have to be super careful about using their grabbers. 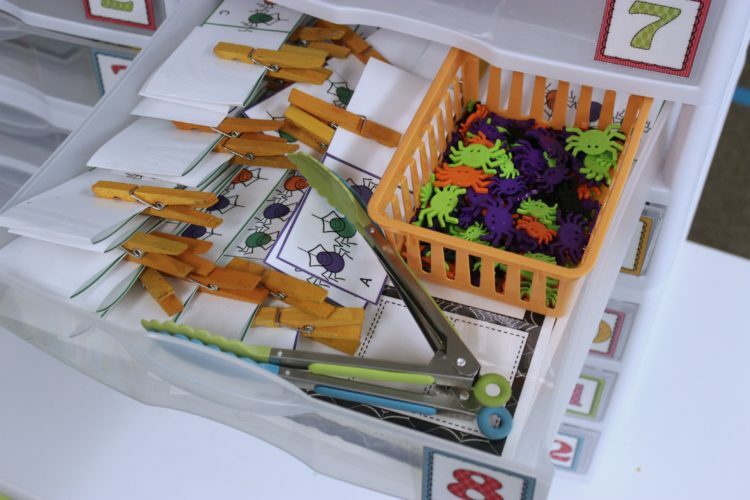 It’s great for fine motor and hand-eye coordination. And even better yet . . . it’s TONS of fun. I feel like my students don’t get enough time to ‘color.’ Is it me or do your kids feel rushed and then scribble madly. Mine do! So I wanted a morning work activity that would incorporate coloring and have the added benefit of being differentiated so some students would be working on letter recognition, while others could work on letter/sounds and still be equally engaged. Spinners are always tons of fun for my kinder friends, and I’m always a little surprised and how many haven’t mastered the art of ‘spinning. 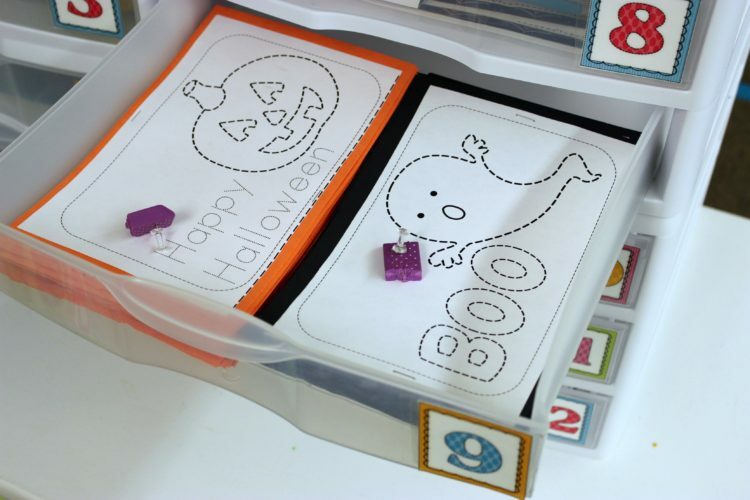 This particular activity is just one of many from my October Letters and Sounds Spinner pack. 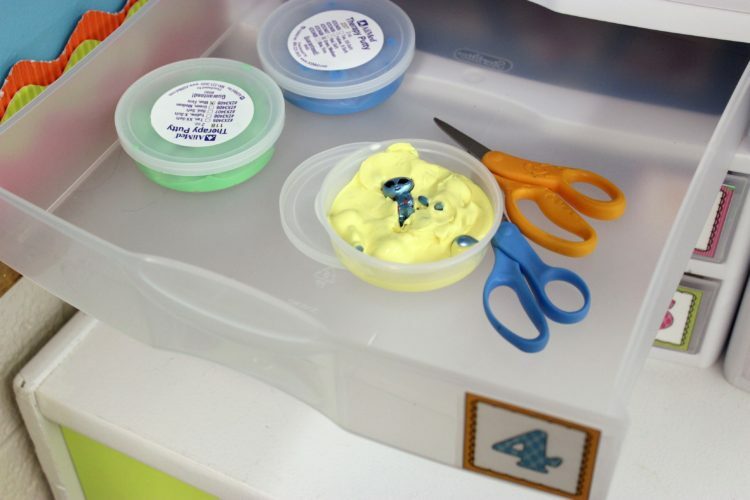 When you come back to see this station in action, I will show you the nitty-gritty of how I use color to organize the different tiers for this drawer. 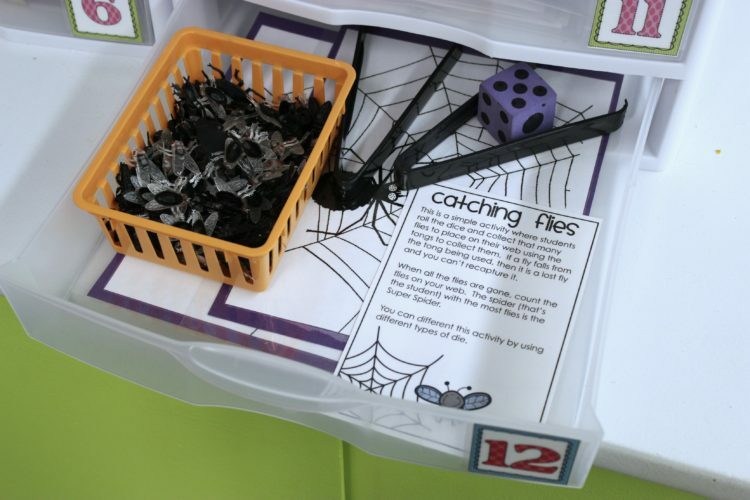 Here’s a super simple activity where students roll a die (or you could use a spinner or use several dice to differentiate this activity) and collect that many flies. If a fly falls from your tongs, you lose it. Once all the flies are gone from the container, each player counts how many flies they ‘caught’ in their web. The student with the most flies is the winner. Super easy to set up. You just needs some little plastic flies, tongs, a playing mat and some die. I’ve had my playing mats for so many years I don’t have any idea where the clipart or picture came from. I went ahead and made you one though, just incase you wanted to play it in your classroom. So that’s my plans for Fine Motor Morning Work this month. 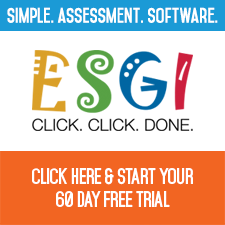 UPDATE: After spending the last year posting about morning work and presenting workshops to teachers across the country, I had numerous special requests from teachers who required more than just 12 stations, ‘I Can’ sheets with standards and skills indicated and who had numerous questions. 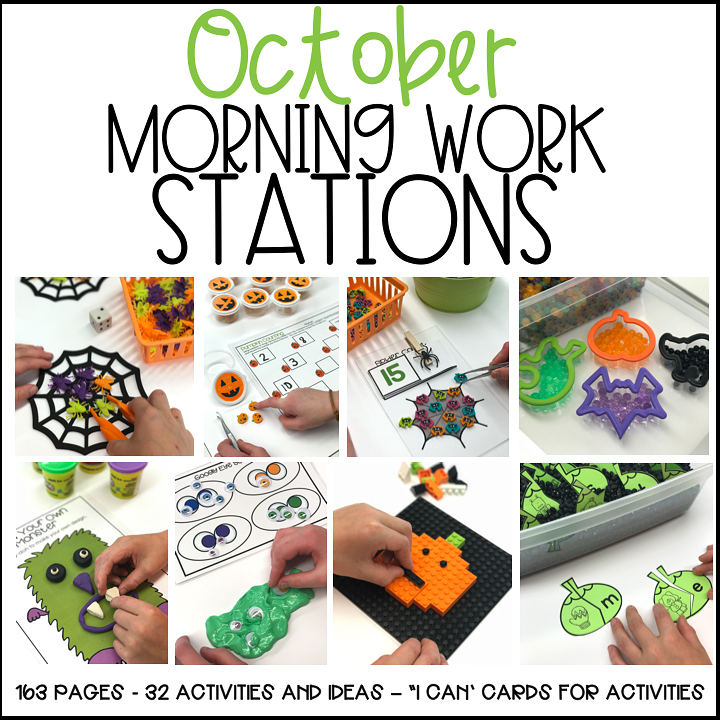 Taking all those requests and questions, I put together a Getting Started With Morning Stations packet and now an expanded October Work Stations packet with over 32 Morning Work Station Activities. If you’d like to learn more about this packet, just click HERE or on the pictures below. Thanks for the freebie. I have been looking for some activities since school started for a few of my students. You have given me a place to start. Appreciate it!! 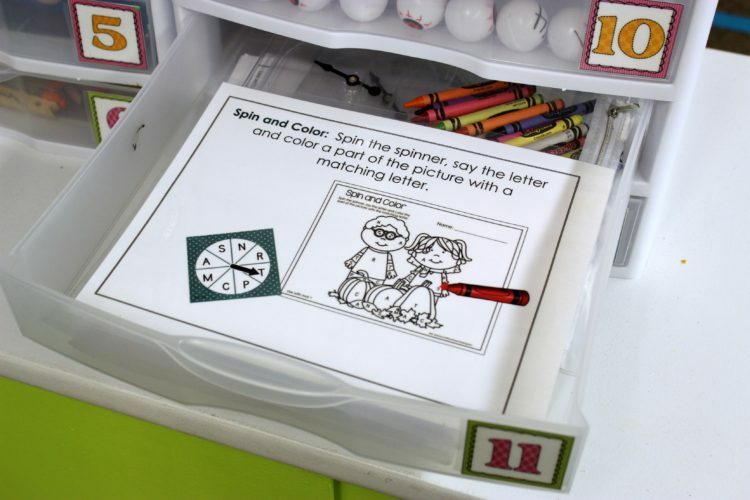 I have tried to use a drawer system like the system you have pictured in your photos for the fine motor work stations. However, the students have difficulty getting the drawers out. Is there a specific brand of drawer system that you use that the drawers glide easily in and out of? Thank you! I have the same problem. They get stuck and the whole thing gets moved around etc. These are awesome. I just started morning tubs and my kids are loving them. Thanks for all the great ideas!!!! Your website is an incredible resource for my Kindergarten classroom! 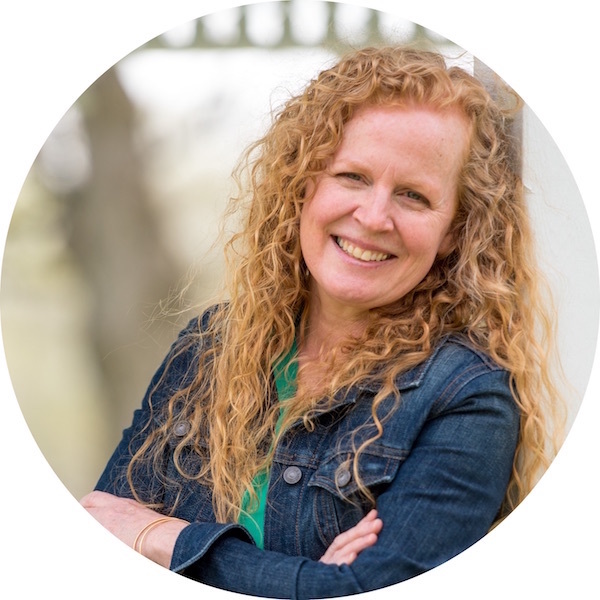 You are very inspirational – not very many teachers enjoy sharing their best practices and secrets with other teachers! Thank you Marsha for the freebie. I totally appreciate you for all the work and dedication that you’ve put into all these just for our minders. They love it!!! Thanks. I love, love, love, these ideas! Thank you for sharing! The good news is…I have a lot of pumpkin/fall/Halloween stuff in the room already! Your ideas gave me a boost in the right direction for morning work! I am getting these fine motor bins ready for morning work, however I have students who arrive at different times starting at 8:45-9:10. Any suggestions on how you would work this? 25 minutes for students who get to school right away seems long for one activity. Oh my gosh!! I love it all!!!! I do “box centers” every morning (same idea, different container). These ideas gave me a recharge for my boxes! Thank you so much. PS: I found Super Hero figures at Target that are very small, work well in the alien cutting activity. Oooo I need to get some. I love your blog and follow it religiously! I have a few questions about the pokey pin booklets. How do you assemble them? Are they used by more than one student, and if so how does the image hold up after more than one use? 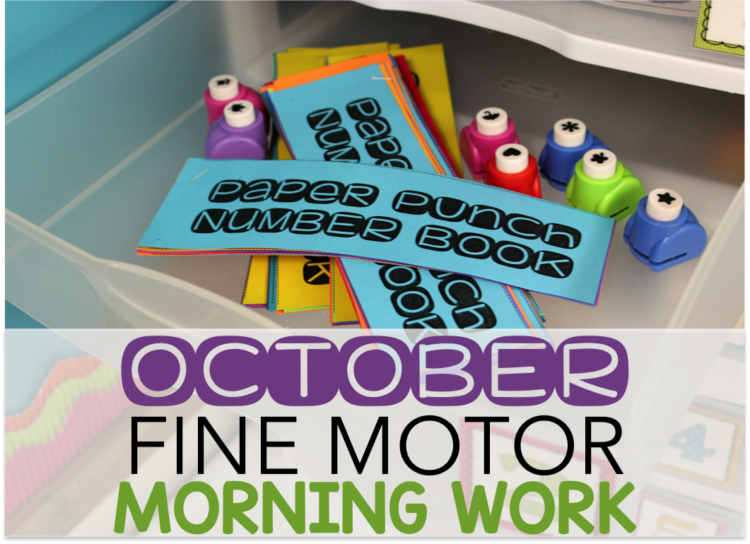 Love these ideas, I am incorporating the fine motor as a daily 5 center and have looked at your ideas quite a bit. I love all the options you have! I am excited to get it all together this year so next year it is even easier to switch the activities out. The kids love the ones I have taken and I love that they are working their fine motor skills. I can’t wait to see what academic skills you add in next! I could not find the pokey pin freebie. I am subscribed to your blog and downloaded from the banner, but that was beginning sound punches. Did I miss the freebie? Love these and so does my OT specialist. Please keep them coming! Can’t wait for November! You are inspiring! I put my drawers together. Now I am looking forward to November and December ideas!! Thank you for sharing your creativity. You are seriously generous!!!!! November is up. Check it out.